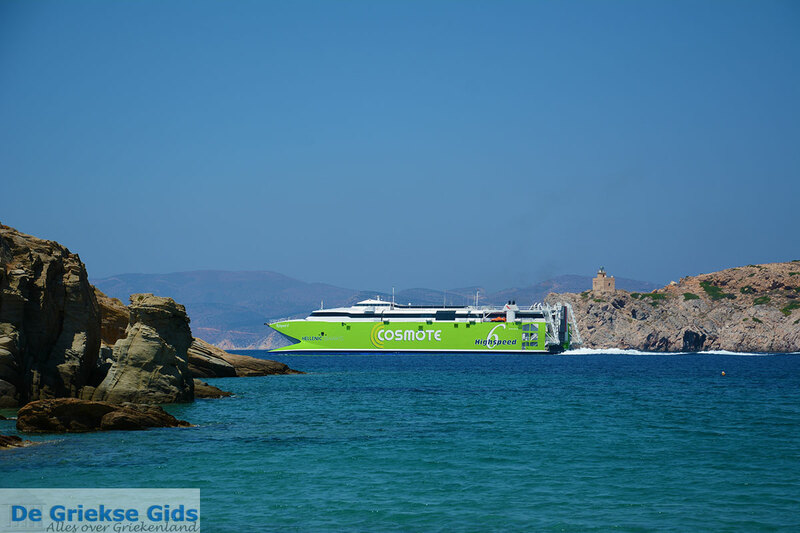 Gialos (Ormos). 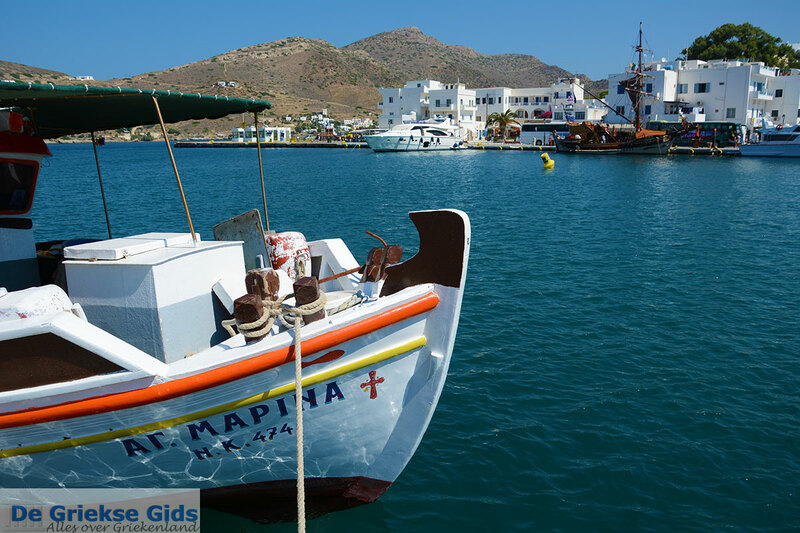 Gialos, which is also called Ormos, is the port of the Cycladic island of Ios. 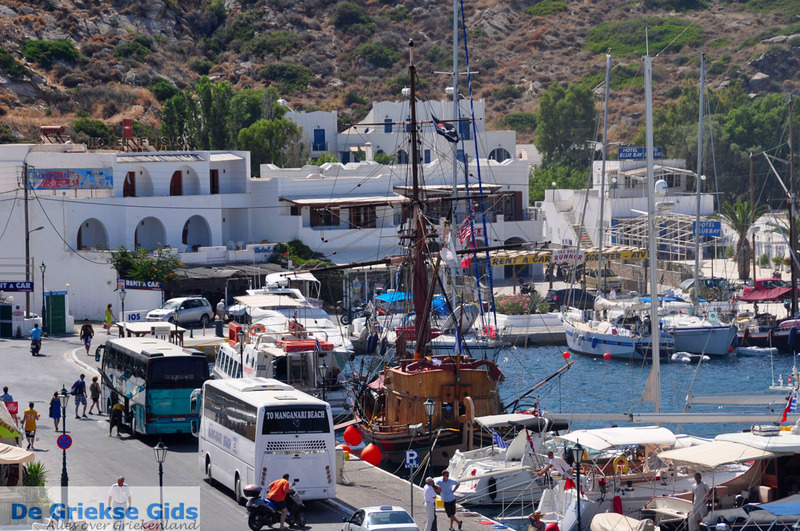 In the harbor you will see many sailboats, yachts and fishing boats. 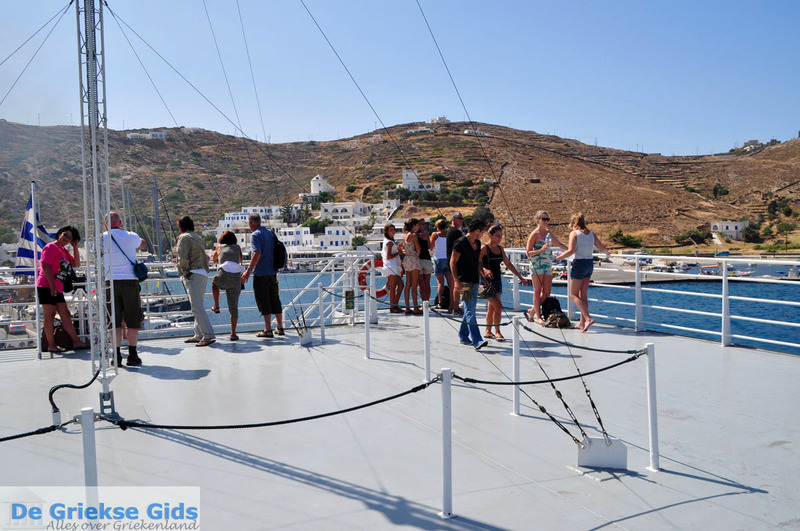 Gialos is located about one and a half kilometers (1 mi) from the capital of Ios, Chora. 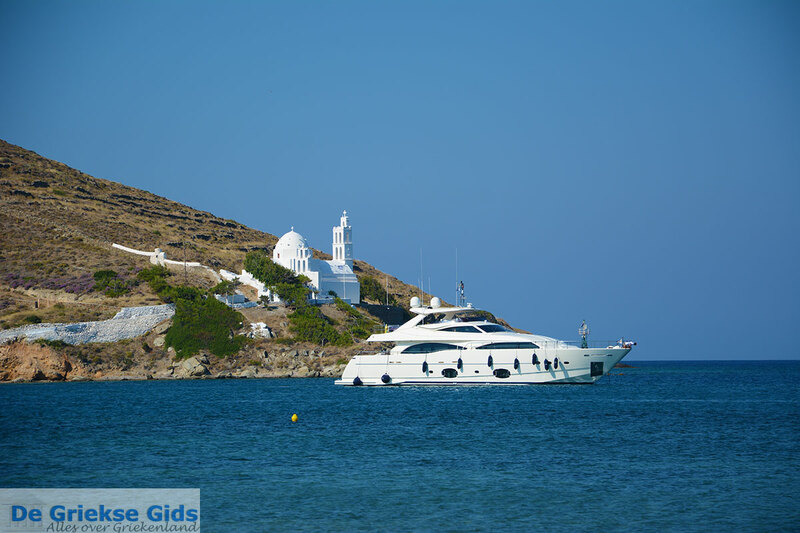 Gialos is located in a deep bay, well protected from the wind. There are many restaurants and cafes here and the beach at the harbor is very good. 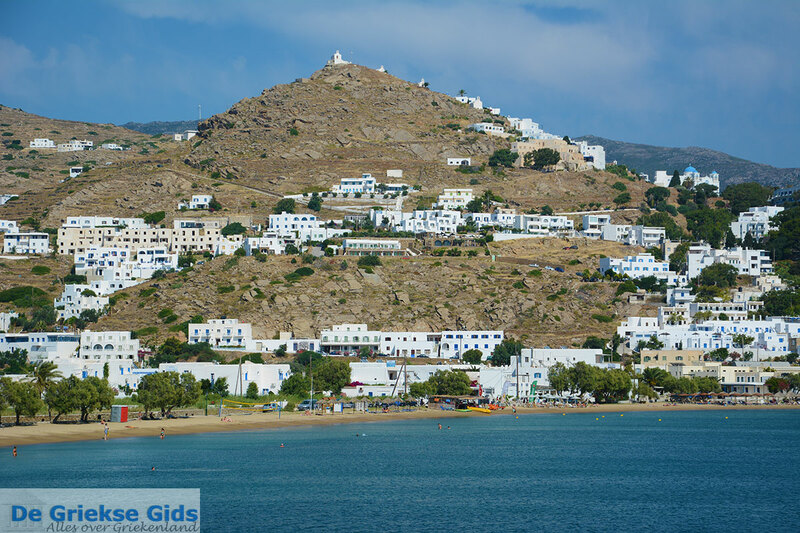 The houses are white and are located on the slopes of the hills surrounding the bay. 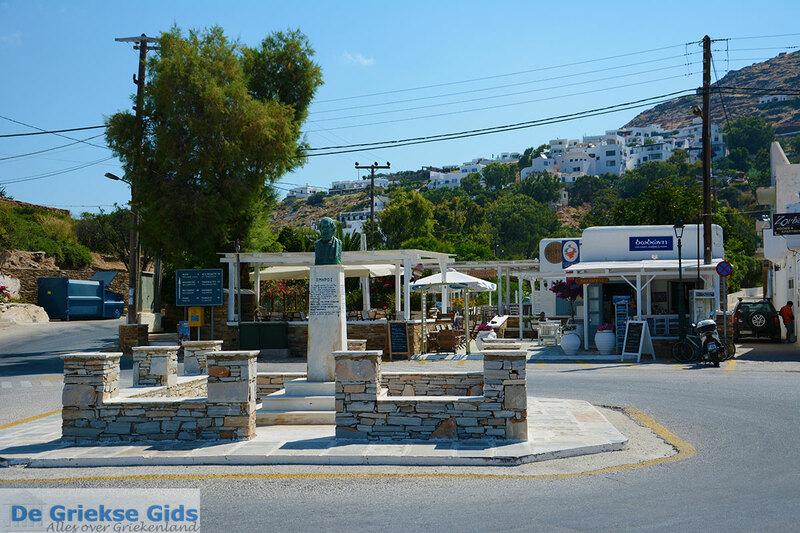 In the village there is a bust of Homer, a chapel of Aghios Georgios and the large white church of Agia Irini on the right, before the port. 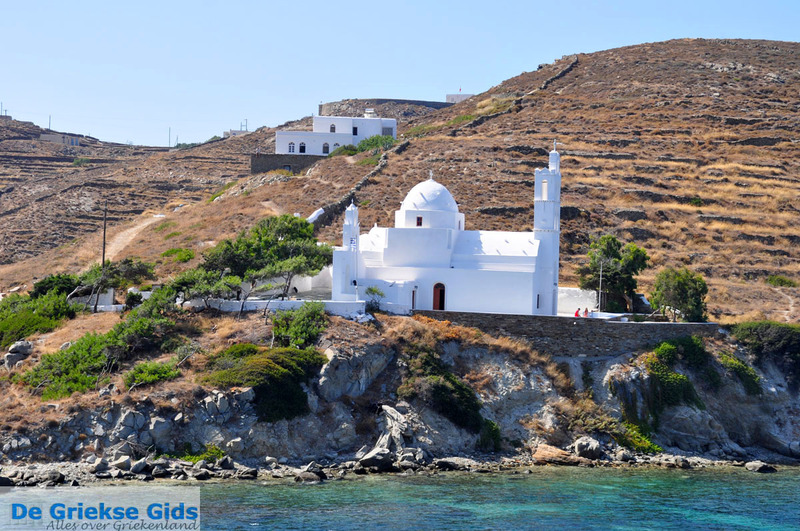 From the church of Agia Irini, a path leads to the beach Valmás on the other side of the bay (15 minute walk). The water is turquoise and at the beach is a nice tavern. 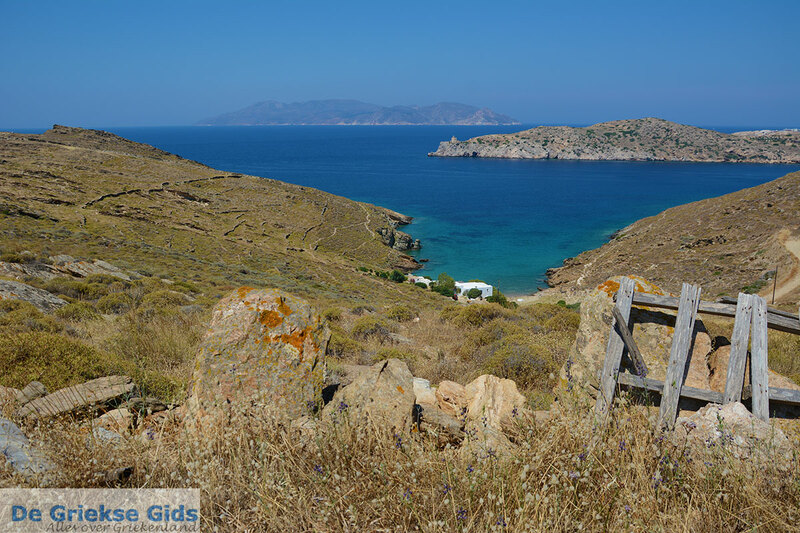 On the other side of the bay of Gialos, there are several small beaches. 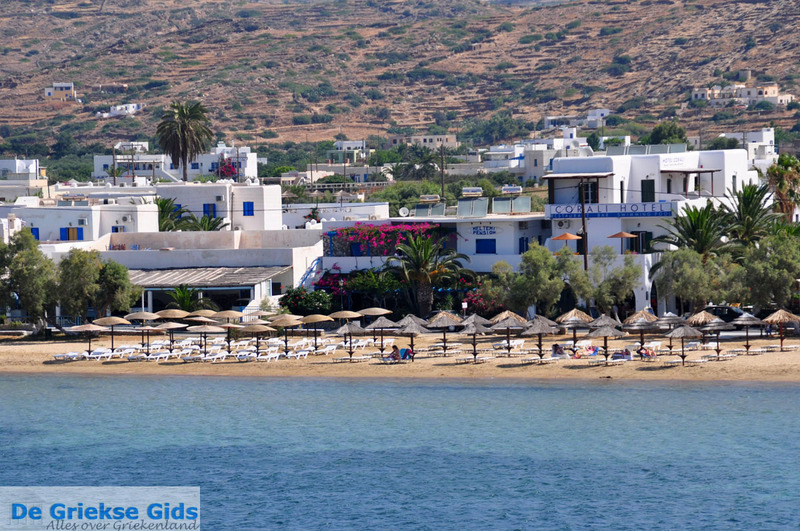 A beautiful beach is Tzamaria and, slightly further, Koumbara beach. At the beach Koumbara there is a good restaurant serving delicious fish specialties. 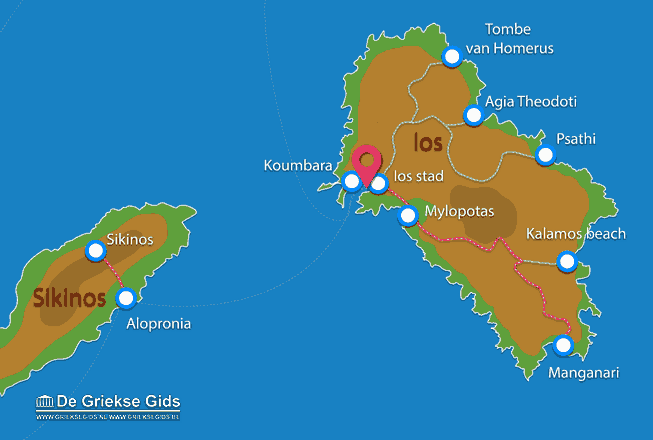 Ios: Where on the map is Gialos located?